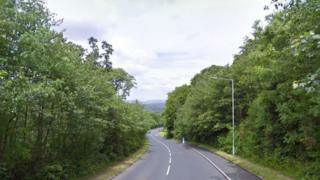 A pedestrian has died after he was hit by a car in Powys. Dyfed-Powys Police is appealing for witnesses to the crash which happened on Saturday at about 21:00 GMT on Neath Road, Ystradgynlais. The male pedestrian was pronounced dead at the scene after he was struck by a red Renault Clio, according to the force. Police have asked anyone who may have seen a man walking along the road before the crash to get in contact.